Language are taking their own name to task with multi-layered palettes and a deep network of tonal paths. 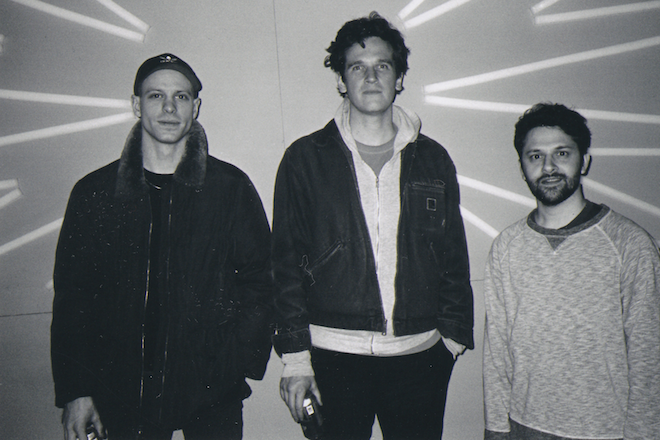 The Brooklyn-based experimental outfit, whose direct contact with the Universe’s mathematician, are sharing “Plymouth”, the title track of their latest EP in a trifecta that teases more in a series. An eerie fog finds its way across the space between headphones, parting in the distance to make way for exploring listeners. Wedged dead center of the new record, this one offers punctuation known only to linguists – hint hint. Plymouth is out May 18th via Good Eye Records, and if you’re in the neighborhood, be sure to catch them tomorrow at Baby’s All Right in Brooklyn.